ORLANDO, Fla. – September 23, 2014 – FlightScope®, a world leader in the development and manufacturing of 3D Doppler ball tracking monitors, golf radars and launch monitors for sports, today announces it has issued a patent that revolutionizes the spin measuring method of sports balls. FlightScope announces the pending patent after years of research & development dating back to 1995. Using Doppler signal technology, the company has developed a proprietary phase locked loop (PLL) demodulator for golf ball spin measurement that vastly outperforms any other techniques. FlightScope®’s PLL spin demodulator can demodulate the spin from a Doppler signal hundreds of times faster than previously used complex and time-consuming fast fourier transform analysis. The PLL is not only a very sensitive demodulator, but in addition it is applied directly to the received Doppler signal, it is vastly more efficient and sensitive. EDH, maker of FlightScope®, is a product development company founded in 1989 by Henri Johnson, inventor and electronic engineer. EDH develops products for the defense and sports markets, and has, as its core expertise, the design and development of 3D tracking radar systems. FlightScope was first demonstrated in Ponte Vedra Beach, Fla., in 2001, and was introduced at the 2004 PGA Merchandise Show. In addition to its use at high-profile teaching academies and by club fitters worldwide, Tour professionals and avid golfers devoted to game improvement use FlightScope for personal practice. 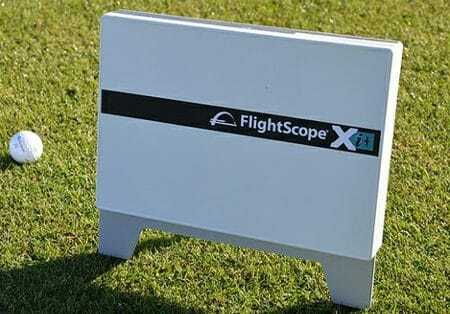 FlightScope is also known for its ease of use as well as the precision and accuracy of its technology. FlightScope employs phased array and ballistic tracking technology to accurately record ball trajectory and actual launch data.